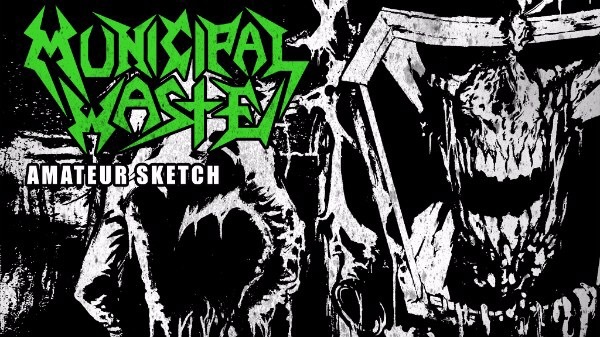 Richmond Virginia’s MUNICIPAL WASTE, released their highly anticipated sixth album, Slime And Punishment, one month ago. Not only did the album debut on multiple Billboard charts, it also saw the highest first week sales for the band. In celebration, the band delivers a new music video in the form of the most epic rager. Ryan sat down with Bill Metoyer at Skull Seven Studios and discussed the mixing and mastering of the album. Watch the video on the Nuclear Blast YouTube Channel! Tony Foresta teamed up with RVA Mag for an exclusive interview with Richmond, Virginia’s Mayor Levar Stoney. Check out the full interview here! Slime And Punishment is the first Waste album to be engineered by bassist Phil “Landphil” Hall at Blaze of Torment Studios in Richmond, VA. Mixing and mastering was completed by Bill Metoyer (SLAYER, W.A.S.P., LIZZY BORDEN and DARK ANGEL) in Hollywood, CA. The band is currently touring the U.S. on the Van’s Warped Tour. With a handful of dates renaming, don’t miss your chance to catch the band live. Be sure to keep an eye on the their socials for info on special signing session opportunities. Remaining dates are listed below. Adult Swim Presents: Mr. Pickles Thrash-tacular Metal Tour Featuring Exodus and Municipal Waste!